Optimization and operational research deal with the applications of advanced mathematical and analytical methods for determining better solutions and decisions to problems. Their importance has been demonstrated in a great variety of applications spanning, e.g., construction, mining, transportation, energy, aerospace, agriculture, logistics and business management. In turn, new applications also lead to the development of new theory, novel techniques and approaches in optimization. 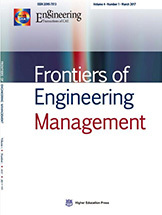 The aim of this special issue is to collect high quality research papers, focusing on the trends and innovations of optimization and operational research on engineering applications. This special issue is devoted to solving practical engineering problems using applied mathematical methods with emphases on optimization and operational research. Mathematical modellings of engineering problems, e.g., civil and construction, transport and logistics, industrial and manufacturing are welcome. Mathematical methods include, but not limited to, linear programming, nonlinear programming, integer programming, network programming, semi-definite programming, stochastic programming, dynamic programming, optimal control, and meta-heuristic optimization. Of great interests are solving real-world problems through novel mathematical modelling and novel applications. Papers employing existing approaches must demonstrate sufficient novelty in the solution of practical problems. To submit a manuscript, please visit https://cn.manuscriptcentral.com/fem and under “Manuscript Type” select “Optimization and Operational Research in Engineering”. All manuscripts will be peer-reviewed in accordance with the established policies and procedures of the journal. Papers will be selected for publication following the outcome of the peer review process and subsequent decisions of the Guest Editors and the Editor-in-Chief.